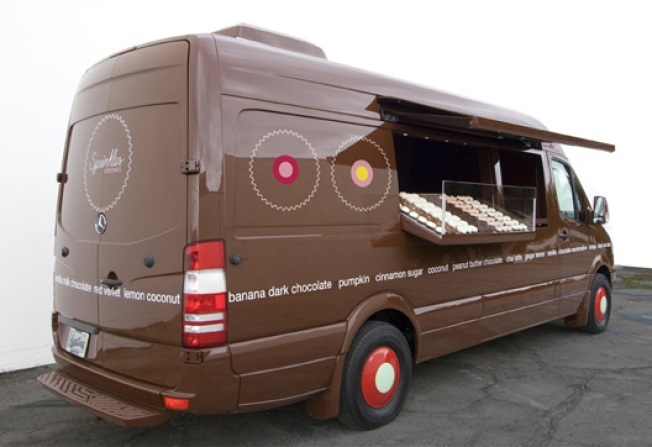 The cupcakemobile is coming to a street corner near you. On the heels of the big news that Beverly Hills' Sprinkles will be making the rounds next week, here are a few more details regarding some of the known exact dates and locations. Justin Herman Plaza is confirmed between 11 a.m. and 5 p.m. on Monday, Dec. 14 and as suspected, Twitter's SoMa headquarters is a go at 2 p.m. for Thursday, Dec 17th. The cupcake truck will drive up from Los Angeles to troll around the Bay Area for a few days for a good cause. Currently the cupcake makers have a home in Palo Alto.